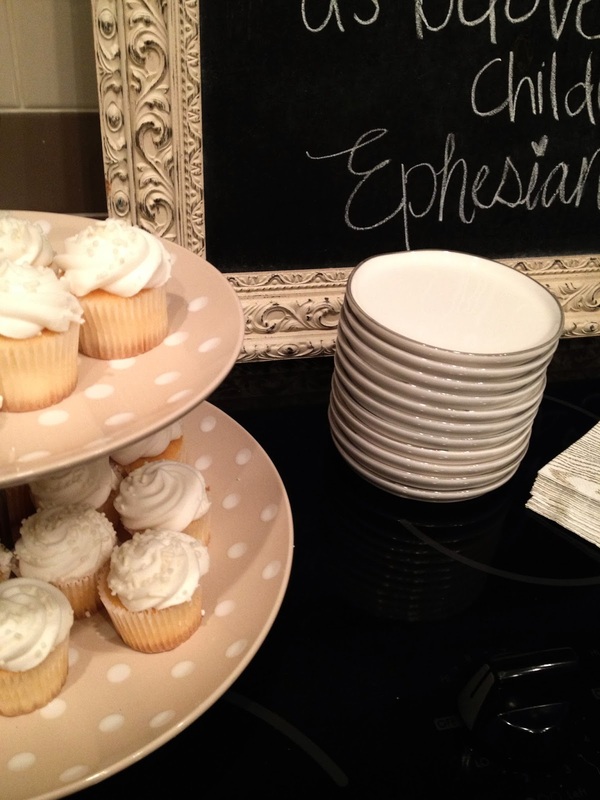 I had the pleasure of hosting some fellow homeschool moms in my home this week for a night a fellowship. I had planned to do desserts, tea and coffee. When I searched for dessert recipes on Pinterest, I looked for "wintry" desserts. While there were no real winners in the recipe department, I noticed over and over people decorating with white and silver for winter tea gatherings. I was inspired. 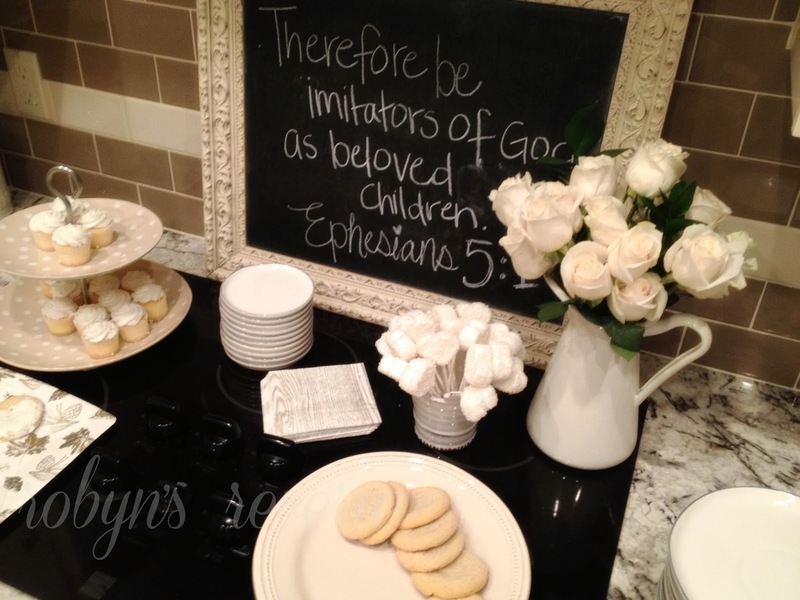 While my older two were in piano, I made a quick trip to the grocery store and bought pre-baked sugar cookies, already beautiful white cupcakes, some large pink and white marshmallows, white icing and white crystallized sugar. I searched for the pre-made white meringues, but they were out. I also grabbed two bunches of inexpensive white roses. 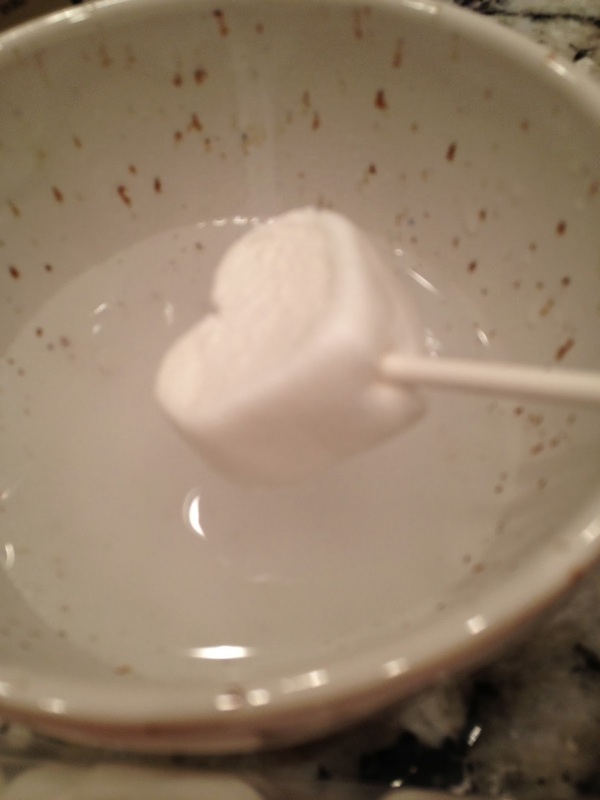 As for those heart shaped marshmallows.... I set the pink ones aside and got to work with the white. This is super easy and super cute. Stick a lollipop stick into the bottom of a jumbo marshmallow. Dip it in water and shake off the excess. 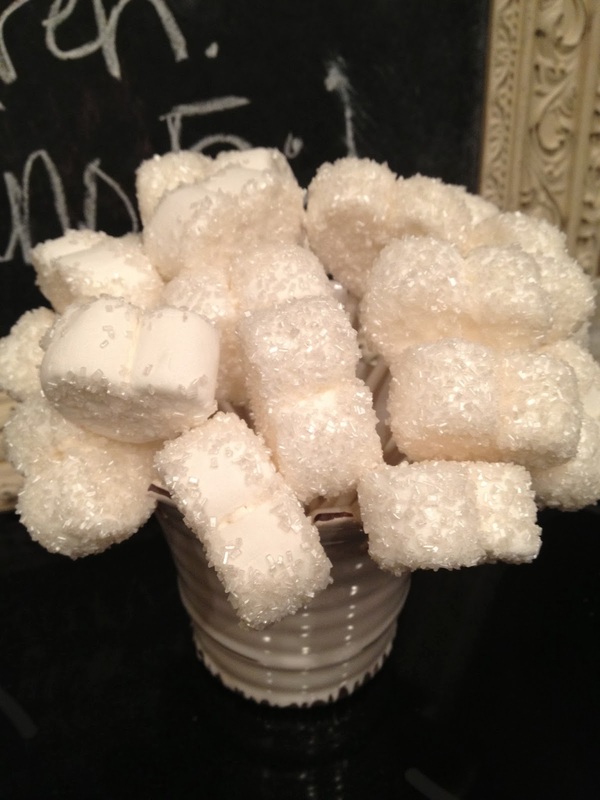 Slowly roll the marshmallow in a bowl with crystallized sugar. 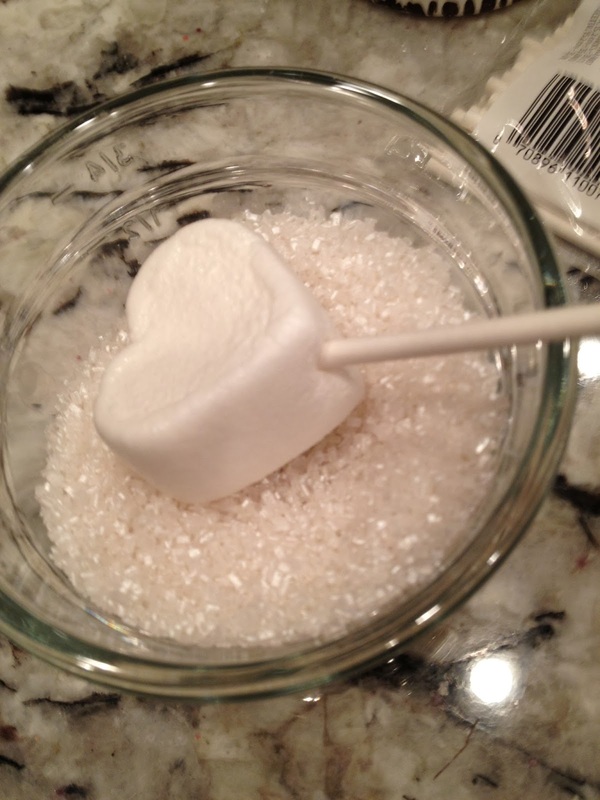 Gently tap off the excess sugar and place in a tall container to let the sugar set. When they are all arranged together, it is a lovely accent piece. I am sure they are quite delicious as well. Everything I did with the white foods and decor can easily be done with any color of your choice. There is just something so chic about monochromatic decor.